Welcome to the new website for Williams Clothiers. 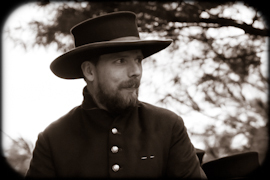 I specialize in recreating clothing from the mid-1800s, and in particular, the American Civil War. I feel it is important to help preserve the knowledge of the tailor , before even more is lost. I hope you will find something of value here, and do not hesitate to contact me with any questions.